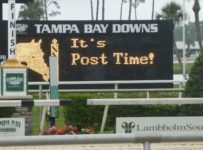 The scheduled post time for Saturday’s Belmont Stakes (Grade 1) is 6:37 p.m. Eastern. 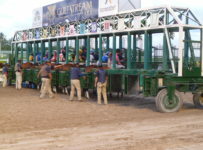 It is one of ten stakes races on a 13-race card at Belmont Park in Elmont, N.Y. First post is 11:35 p.m. 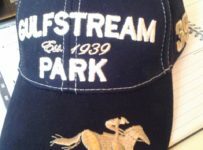 The Belmont Stakes is the 11th race. 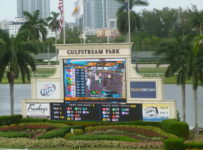 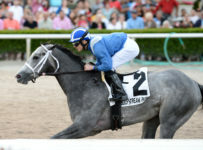 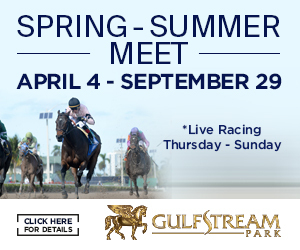 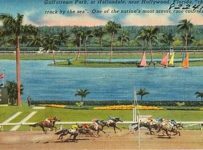 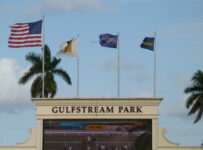 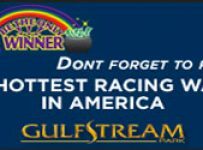 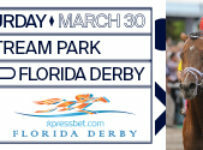 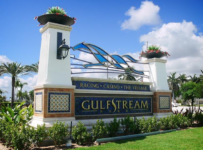 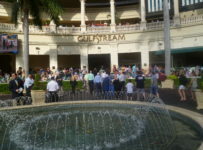 On Saturday, Gulfstream Park will have eleven races with first post of 1:15 p.m.
Gulfstream will have simulcast betting on all of the races at Belmont, and all of the other tracks on its regular simulcast menu. 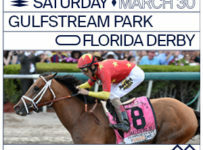 Silks, the simulcast facility on Gulfstream’s first floor, will open at 10:30 a.m.
Tampa Bay Downs will have simulcast wagering on the full cards at Gulfstream, Belmont and the other tracks on its regular simulcast menu. 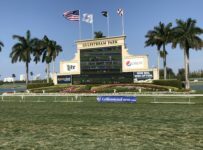 NBC Sports Network will have coverage of Saturday’s Belmont Park races from 3:00 p.m. to 5:00 p.m. NBC’s over-the-air stations will have coverage from 5:00 p.m. to 7:00 p.m.
On Saturday morning we will have race analysis, selections and our suggested bets.